7. Roll the disk on its edge, like a wheel, to smooth out the edges. This step will ensure your dough will roll out evenly, without a lot of cracks and splits at the edges later. Wrap in plastic and refrigerate for 30 minutes before rolling out. 10. Roll out the remaining pastry to an 11″ circle. Cut decorative vent holes, if desired. Carefully place the pastry over the cherry mixture. 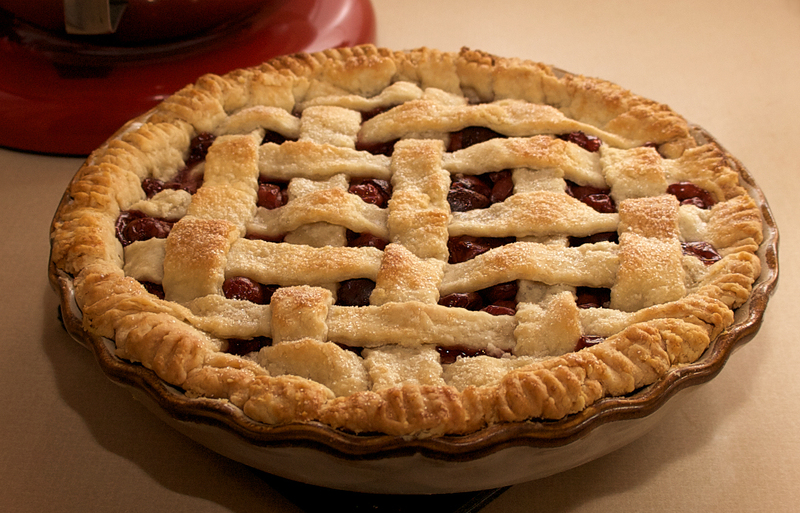 This entry was posted in Uncategorized and tagged Cherry pie, dessert, food, pie. Bookmark the permalink. 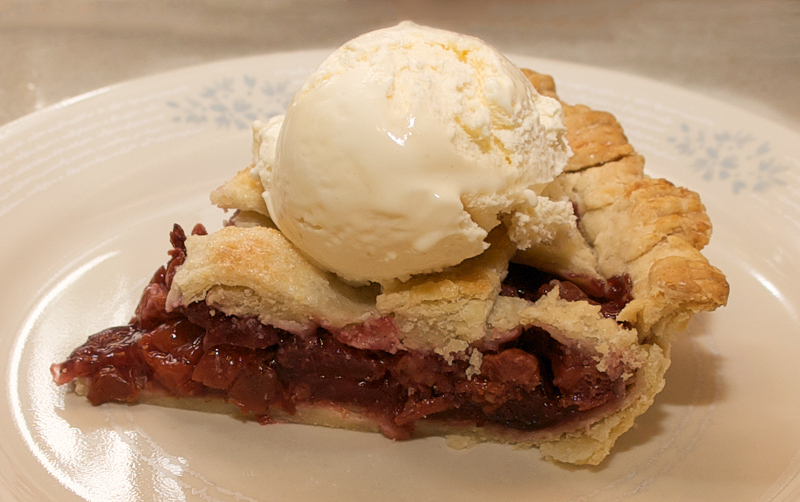 This is Andy’s favorite pie…may have to give it a try! Therese, I bought these Door County cherries and added about 1 cup of chopped bing cherries. Turned out awesome!